Plaice, Turbot, Brill & Sole all have their good share of fanatics, and why not. Great to catch and brilliant eating too. 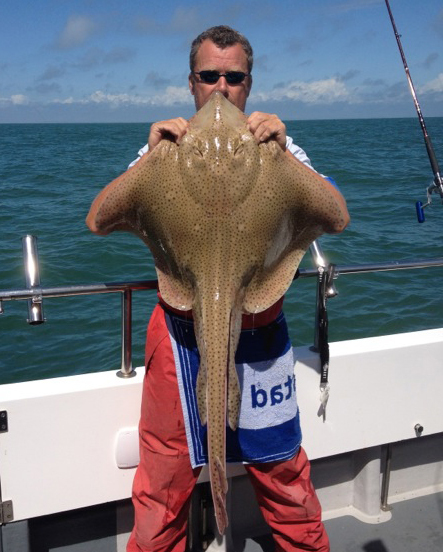 Fishing for them is as varied as the 'Flatty's' themselves, and great fun too. 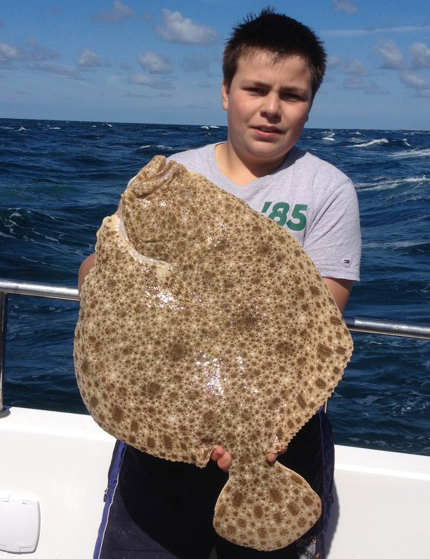 The early run of Plaice in spring is a reminder that our fishing is about to change for the better, as water temperatures warm inshore and the Plaice settle on our sand backs and mussel beds we know summer isn't far away, and the Plaice will stay throughout. The fish at the start of Autumn are the best conditioned fish as the early fish often need a few weeks to fatten up on arrival and stock up at the end of summer as they prepare to move off for winter. In resent summers we've seen good numbers of fish over the banks and usual marks with fish between 8oz and 2lb common 'plaice'. Setting up for long slow paced drifts is a relaxed change to the faster racer banks, on the mussel beds and smaller banks you can take one or two fish on each drift - when the going's good sometimes more, sometimes less, but one thing for sure is these little 'Orange Spotties' are most welcome aboard Valkyrie and a popular diversion to the normal adventures, but no less of an adventure itself. A light rod and fixed spool reel or small multiplier with 15lb braid will again provide maximum fun and double shots of fish will test light tackle in the warm summer sun. Simple, and trusty, the running ledger with a 3 ft snood of 20lb clear mono to a finewire Aberdeen 1, something like a Mustad 3261 or Kamasan B940 will be just perfect. Plaice are a flatfish, that's obvious to anyone that's seen one. They wait in ambush on sandbanks waiting for a meal to roll by, they're a major visual predator and bling, scent and vibration will all help attract a few 'Spotties' for sure. Snoods should include blades, at least 20+ beads and the use of spreader bars and wishbone multi hook rigs is greatly encouraged. Wishbone rigs can take an age to make so a good tip is to build them on strong rig bodies and clip short snoods with hooks on that can be replaced for swallowed hooks or damaged lines. This will save a lot of time and remind you to fill up the full short snood with bait! When baiting up do not skimp on the worm. You'll want at least 4 ragworm and a tippet of Squid, Macky Belly (skin) or the addition of a prawn (or two) is a good starting point. 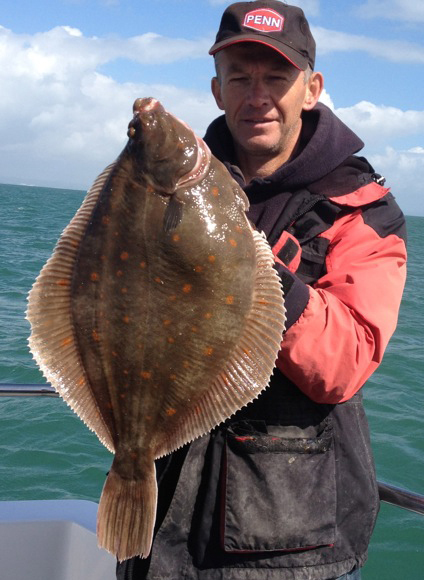 The Ray fishing in our waters remains very under rated and without a doubt these 'flatty's' are not for light tackle. 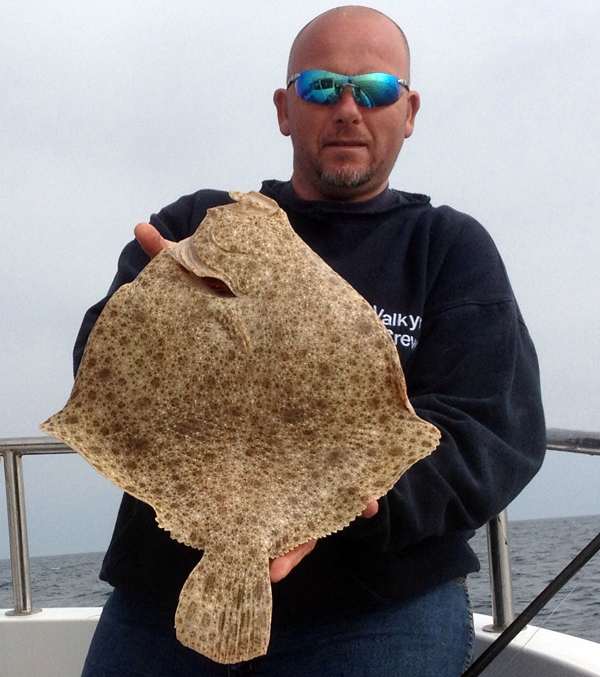 Fish such as the Blonde Ray can run to 30lb and the fast tidal water they love to live in will test even the strongest of angler, let alone gear. A 30lb class rod with strong multipliers loaded with 40lb+ braid and 100lb+ snoods to 6/0 pennels will present a Squid & Macky cocktail just nicely - but are you up for the fight ? There's nothing I like better than tucking into a few marks around the Solent, and a few I'm not going to reveal here on the website, for a spot of mixed fishing which will include targeting Sole on a light rod and Codling etc on another rod. Call me for more details and we'll see if we can get a trip organised. 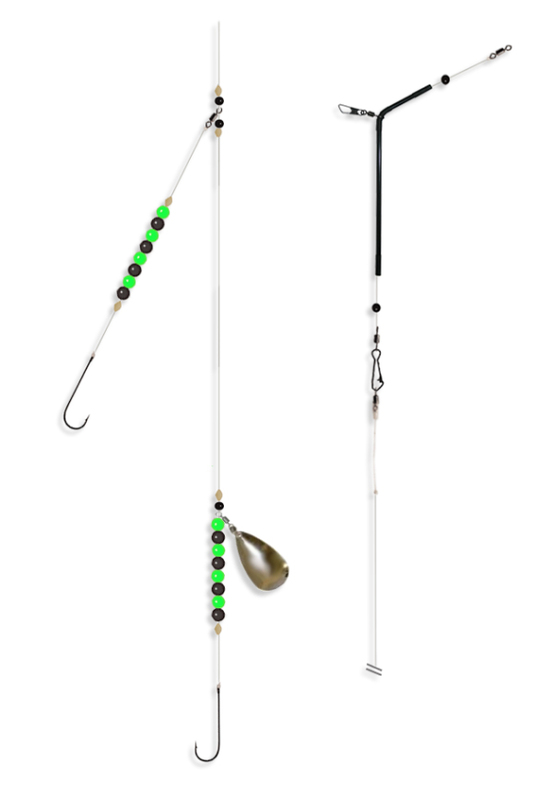 Fishing for Turbot & Brill over the larger banks and races requires a softish 12lb class boat rod and multiplier with 20lb braid connect to either a running ledger or Portland rig. Some people avoid using a tube boom as they drag through the gravel / sand and trapped particles can weaken a rig body through abrasion. It's really a matter of personal choice, a small Portland Rig is perfect in most conditions. The trace / snood needs to be much longer and encompass a size 1 or size 2 swivel 4ft (usually half way) down the snood. 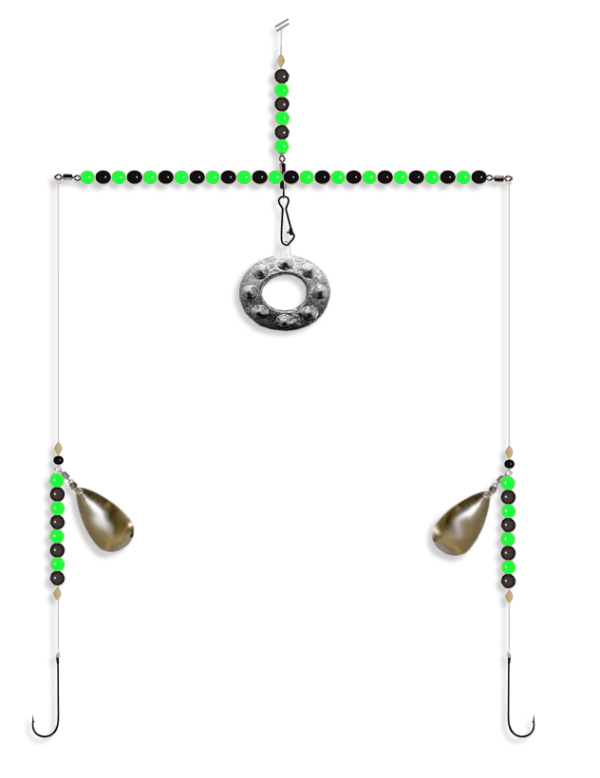 This keeps the rig from spinning up and keeps the bait(s) better presented. A small 10g Spoon is a welcome replacement to the swivel and again down to personal choice. You'll want a strong 4/0 aberdeen hook such as a Sakuma Manta (which is a bit bigger than most 4/0's). The remaining snood can carry a single or double bait, keep baits at least 2 ft apart and fish a bigger bait, maybe a good size Garfish flank on the bottom hook and a smaller bait closer to the weight. This will help keep everything straight and again decrease the chance of a spin up and maximise fishing time. 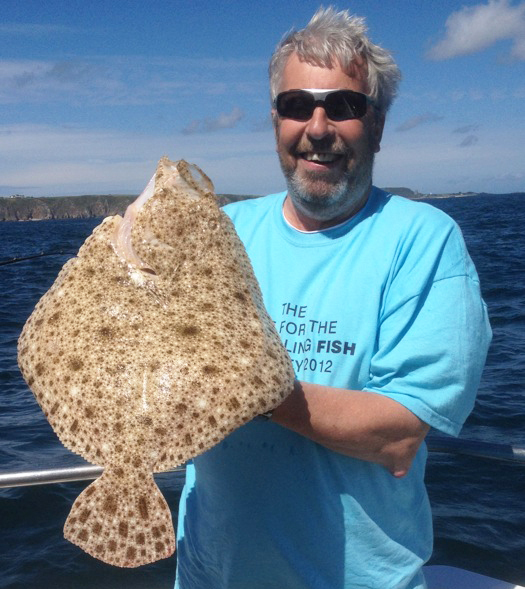 Turbot and Brill fishing can be frustrating, to take a good fish is a real bonus and something to cherish as an Angler. Do not assume you'll be taking a fish home and you'll avoid disappointment. That said there's a couple of do's and don'ts when you get a Bite and get a Fish. As soon as you feel and bite let your thumb off the spool and immediately give the fish some line. Count to 15 before you engage the spool. Do not STRIKE. Once you engage the spool, wind slowly and never pump a fish. Turbot and Brill love live sandeel, keep bait fresh every drift. Alternative baits and sometimes better baits include 6 inch strip of fish belly such as Garfish or Macky. A good tip is to fillet off 80 percent of the flesh so you've got mostly skin, fresh mackerel will 'curl' and risk masking a hook. The thin skin baits have more movement and are visually a better bait in the water.